In London, restaurants go in and out of fashion faster than you can blink. 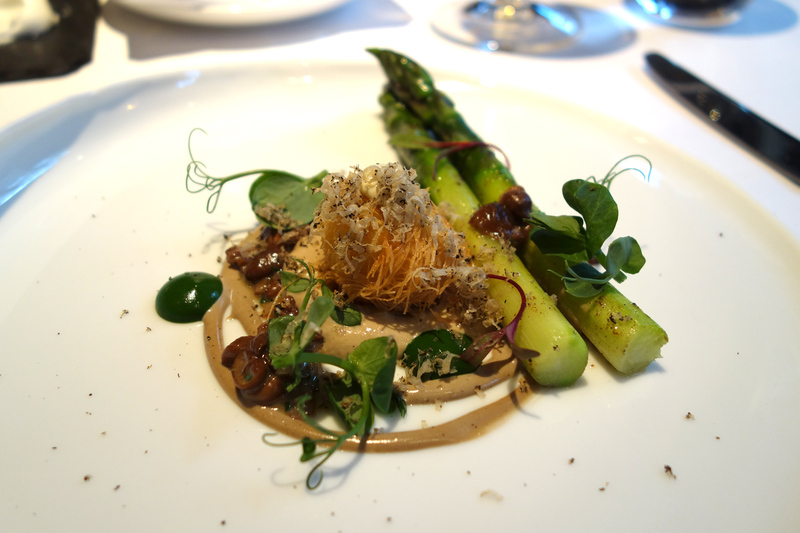 But some restaurants remain consistently at the top of their game. Without doubt, The Ledbury is one of them. Brett Graham’s cooking has always been of the highest standard. Dishes feature some of the best ingredients available, look stunning and have a perfect balance of flavours. The dining room is relaxed and the service welcoming and unpretentious (particularly from Laurens). The wine pairings, if you choose them, are interesting and generous. I always look forward to returning here. 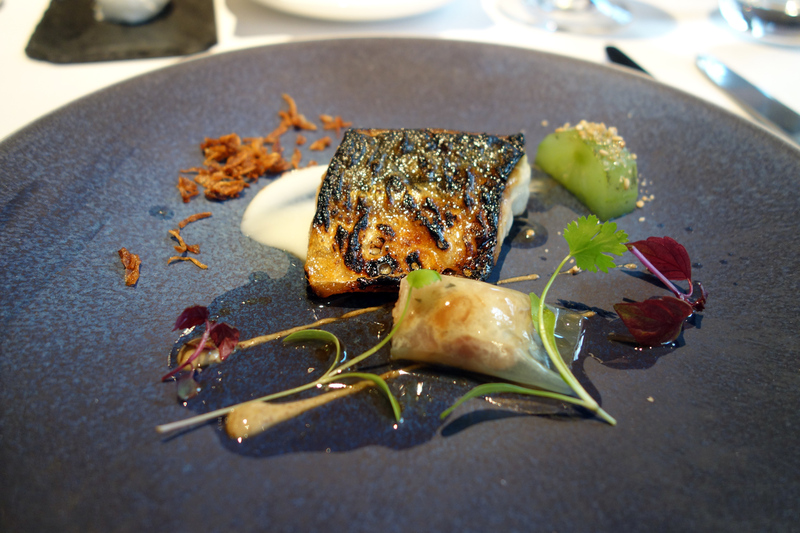 A recent visit featured old favourites, such as the flame grilled mackerel, a mix of the old, such as the English asparagus with crisp quail’s egg (I have had both components of the dish before, but not together) and new dishes, such as the roast lobster with fennel and elderflower. 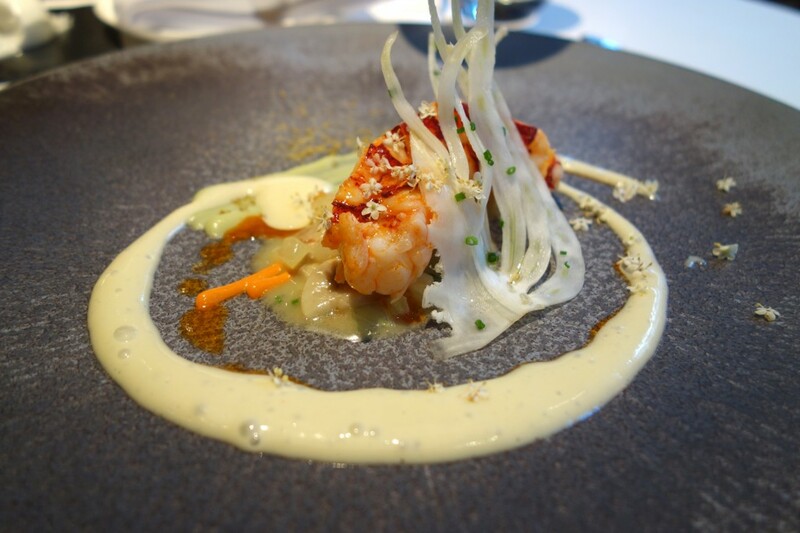 The lobster, in particular, was a stand-out – aromatic and cooked to perfection. However, a few changes were not so welcome – the bread selection has become severely limited, with the fantastic bacon brioche and malt bread no longer being served. We were informed that this was because people were eating so much of it that they no longer finished their food. This is surely testament to the quality of the bread itself, and it seems somewhat draconian/drastic to abolish the bread service entirely due to a few people’s lack of self control. Apparently the restaurant has received numerous complaints about this from its regulars – and hopefully it will reconsider its decision. In addition, the passion fruit soufflé, served with Sauternes ice cream, was no longer on the menu (in my mind, this is one of their signature dishes). 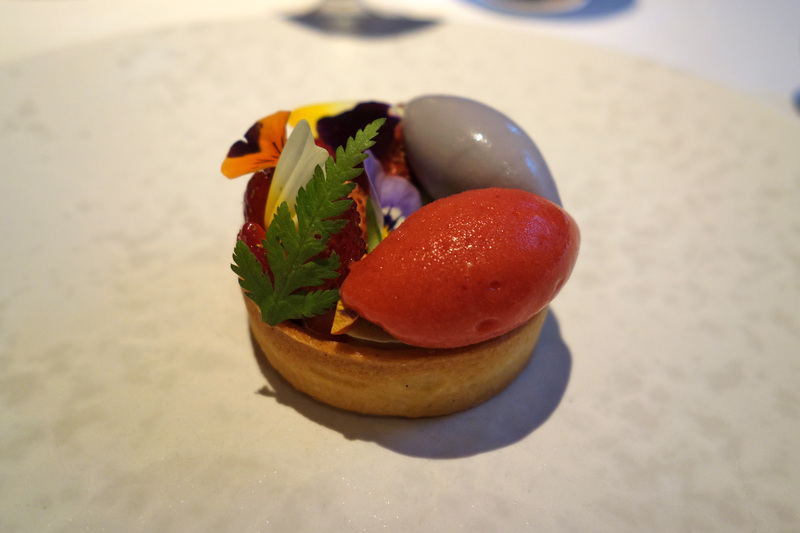 We were informed that the Ledbury was going through a phase of experimenting with new desserts and that the new strawberry tart would not disappoint. The strawberry tart, whilst beautifully presented, was lacking in depth of flavour and, more fundamentally, the taste of strawberries. Our waiter, perhaps feeling my pain, offered a complimentary extra dessert, a brown sugar tart (another long-standing dessert). This hit the spot, tasting similar to a rich crème caramel. There may be the Michelin Guide, the San Pellegrino list and countless other restaurant rankings. But when dining here I really couldn’t care less about any of them – the Ledbury is undoubtedly one of my favourite restaurants in the world.